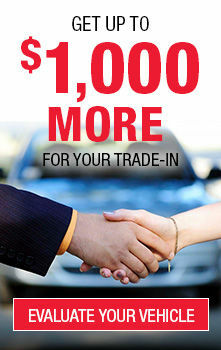 Are you looking for a used Toyota vehicle in the West Island of Montreal? Don’t wait anymore and come see us at Spinelli Toyota in Pointe-Claire, your number one dealership near Laval and Île Perrot! On site, you can take advantage of a large inventory of used Toyota vehicles for sale at the best prices in the West Island. Visit our website to find out more about the vehicles we currently have in stock or come take a closer look on location! At Spinelli Toyota Pointe-Claire, you will find used Corolla of various year-models, suitable for all tastes and all budgets. You would rather look for a subcompact? Make your selection among our used Yaris, in Sedan or Hatchback version; you will love its style, perfect compact dimensions for urban driving and, especially, its low fuel-consumption! You will also find many preowned Camry among our preowned Toyota for sale in the West Island of Montreal. This mid-size sedan will surprise you with its generous dimensions and its smooth ride. Why not let yourself be tempted? Families are also on our minds with utility vehicles such as the used RAV4 or the preowned Sienna minivan. Their towing capacity as well as their many functionalities make them vehicles sought after by small and large families! Come take a deeper look and book a test drive of one of our in stock models! As you can see, we have used Toyota vehicles for sale to satisfy all lifestyles, tastes and wallets; your next vehicle is sure to be found here! On site, do not miss the opportunity to find out more about our various ongoing promotions as well as our Toyota financing products, suitable to all financial situations. Fill out your online request today and let our consultants take care of the rest! Come see us very soon at Spinelli Toyota, near Laval and Île Perrot, to take advantage of the largest selection of used Toyota in the West Island of Montreal!